There is so much choice out there when it comes to accessorizing the home that deciding what items to go for can be a bit of an interior design headache. 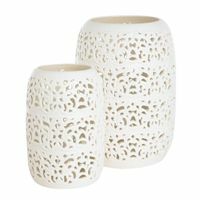 Debenhams has an excellent range of home accessories and I’ve chosen my top 5 must-have items that highlight the best of their selection. Whether you’re going for the vintage look or contemporary style, there’s something to suit any taste at Debenhams with many items now reduced in their Easter Extravaganza sale. Add some retro style to your home with a classic telephone. 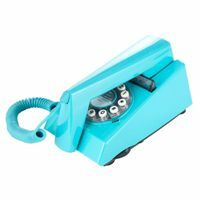 This Wild & Wolf trim telephone takes you back to the 70s with its bold turquoise colour and funky design. Create a chic vintage look by coordinating it with other retro accessories or position it on its own as a bold statement piece. 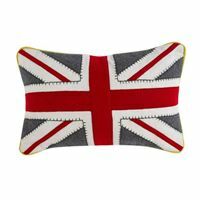 With the Royal Wedding and St George’s Day both coming up this month, there is a visible patriotic influence appearing in home accessories. Union Jacks are on everything from teacups to plant pots. Cushions are a simple way to reflect this style trend in the home and they can be a talking point amongst your guests. This BDL by Ben de Lisi cushion has a trendy Union Jack design on the front with a bright red back and a contrasting yellow trim. 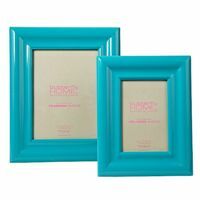 Bright colours aren’t just a trend for your wardrobe – update your decor with bold photo frames in glossy bright colours. Add accents of colour to a room using brightly coloured frames. The Butterfly by Matthew Williamson lacquer frames in bright blue are a personal favourite and is available in two sizes – 4” x 6” and 6” x 8”. Flowers help make a house a home – but using fresh flowers can be costly as they are usually past their best after a few days and often need replacing. A great alternative is to use quality artificial flowers to decorate the home which last for years and never need watering! Artificial flowers already arranged in a vase will add instant colour and warmth to a room. Top florist Jane Packer has designed a beautiful plastic floral collection for Debenhams. 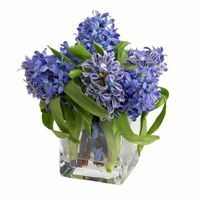 The prettiest and most unusual item from the collection is this blue hyacinth in square glass vase. Lighting has always been the ideal way to transform a room and table lamps are perfect to add atmosphere and decoration to the home. The best designs to go for are lamps that look just as decorative when they’re off as when they’re on – which is why I love these stunning rocha.john rocha cut out lamps. They are subtle as well as stylish and look like an attractive ornament when not lit. The lamps are available in small and large. All these home accessories plus many more are available from the Debenhams website or visit your nearest store by using their Store Finder. Tagged debenhams, home, interior design, trends. Bookmark the permalink. Fake flowers are a really cool idea to brighten up a room without spending a fortune. Love your ideas on styling the home. Thanks! I am loving this article.